The Lisbon Book Fair, one of the oldest cultural festivals held in the capital of Portugal, took place from the 25th May to the 13th of June 2018, in Parque Eduardo VII, one of the most beautiful open spaces of the city. 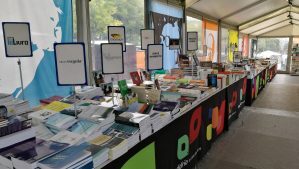 Like every year, the Lisbon Book Fair allows the opportunity for 2 Seas Agency to meet Portuguese editors, either at the grounds of Parque Eduardo VII, or at their offices. It is a chance to leaf through their books, listen to their stories, discuss current trends, and of course, pitch new titles. As one of the largest book fairs in Portugal, the Feira do Livro de Lisboa constitutes a great opportunity for people who enjoy reading, while also offering activities dedicated to families and children. With books for all literary tastes, the Lisbon Book Fair also promotes book launches and autograph sessions, providing a chance to get to know the authors. There is still a gastronomic slope, with a zone of restoration that allows visitors to taste some traditional specialties. 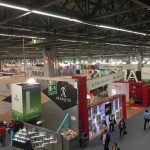 The 88th edition of the event lasted 20 days – two more than last year, with the participation of 626 publishers and booksellers (25 more than in 2017), a total of 294 booths (8 more than last year), and probably with more events than last year (1618 in 2017). With the booths increasing year by year, we can safely say that the Portuguese book market is growing. 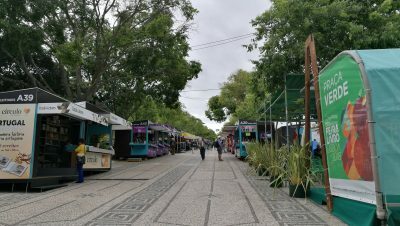 Despite the rainy weather and the cold nights during the first days of the fair – very unusual for June -, optimism picked up and sales accelerated during the last days, especially on the 13th of June, St. Anthony’s Day, which is a public holiday in Lisbon. The number of visitors is expected to have passed the 537,000 people who visited the event in 2017. This year, another cultural event occurred during the book fair; the European Literature Night. Taking place on the 9th of June, with readings and presentations of various works from 14 different countries, this event gave publishers the opportunity to promote their authors both at the fair with debates and discussions, but also with interviews by the Portuguese media, during their stay in Lisbon. Excerpt readings of the works of these 14 authors were performed in various places: museums and churches, libraries and art galleries; and public places and private places. 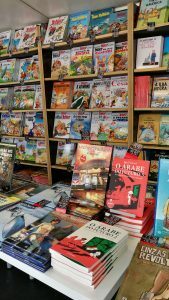 I was happy to see some of our books at the book fair, like THE VIRTUES OF FAILURE by Charles Pépin published by Gradiva Publicações in April 2018. Not to mention the Portuguese edition of two Dutch titles, Hendrik Groen’s best selling diary ATTEMPTS TO MAKE SOMETHING OF LIFE published by Editorial Presença and THE OFFICE LIFE OF A GUINEA PIG by Paulien Cornelisse published by Guerra e Paz in January 2018. In July, Bertrand is publishing Barbara Frandino’s I’M SCARED, translated from the Italian, and Clube do Autor will publish WINSTON CHURCHILL’s biography by Dutch author Felix Klos by the end of the year. And let’s not forget THE ARAB OF THE FUTURE SERIES by bestselling cartoonist Riad Sattouf, whose much awaited fourth volume will be published in France in September 2018 -Portuguese editions by LeYa/Teorema. We are also excited with the publication of the illustrated edition of HOW TO LIVE LIKE YOUR CAT by Editions de l’Opportun – one of our new clients – to be published this fall by Porto Editora. The book market in Portugal has been through some difficult times over the last decade due of the general economic crisis. 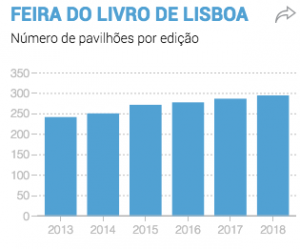 However, Portuguese publishers seem more resilient than ever, ready to adapt to the current trends, finding ways to stay afloat. Some publishers are focusing more on Portuguese authors, others are reissuing classics, and others chose to shift their focus on to non-fiction. The Portuguese publishers I met were very optimistic about their non-fiction titles both from Portuguese and foreign authors, which sometimes represent up to 70% of their catalog. The major focus being books on personal development, parenting, history and biographies. Fiction and non-fiction titles with “Auschwitz” or “WWII” in their title, seem to receive great interest from Portuguese readers. Great examples include THE TATTOOIST OF AUSCHWITZ and THE PHARMACIST OF AUSCHWITZ, that have been on the bestseller list for months. 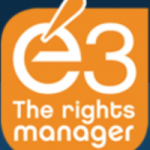 However, not all publishers choose to publish such a variety of genres. Others see a niche and exploit it in the best way possible. 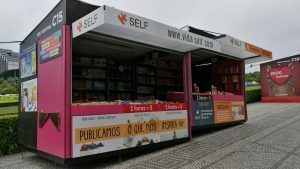 The publishing house Vida Self is a great example of entrepreneurship and a successful analysis of the Portuguese book market. Publishing mainly business and management titles, Vida Self has a well-structured, medium-sized editorial line, with general but also specialised titles, and an equal amount of visibility to each one of them. However, book-selling is not their only stream of revenue. Their offices are also a co-working space for other companies! This is the third consecutive year that AICEP is organizing visits of foreign publishers at the fair, with the aim to promote the translation of Portuguese works and to contribute to the increase of the international visibility of new national authors, thus promoting the language, culture and, most especially, Portuguese literature. 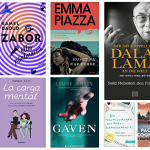 This year, representatives from the Mexican publishing houses Trilce Ediciones and Ediciones Arlequín, and the German publishers S.Fischer and C.H. Beck had the chance to discuss with Portuguese publishing professionals and booksellers. With Portuguese authors such as Fernando Pessoa, Carla Maia de Almeida and Jorge Amado, along with other classics published by S.Fischer and C.H. Beck, and with 40 Portuguese authors participating at the Guadalajara Book Fair this year, this visit was well-planned! 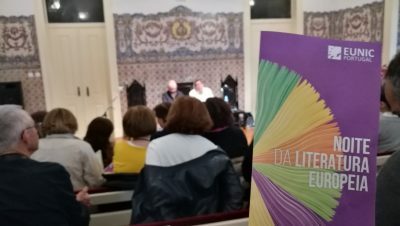 Personally, I believe these visits constitute an excellent opportunity to create international visibility for new Portuguese authors and to facilitate their translations abroad. However, I was hoping that the number of foreign publishers would be increasing every year, and not decreasing so dramatically. The first event, in 2016, brought to Portugal the UK publishers Alma Books, Europa Editions UK, Fitzcarraldo Editions, Granta & Portobello Books, Peter Owen Publishers, Periscope Books and Oneworld Publications – and last year, representatives from France, Italy and Spain: Editora Regional de Extremadura and Editora PRE-Textos (Spain); Actes Sud, Editions Gallimard and Flammarion (France); Edizioni dell’Urogallo (Italy). The 88th Lisbon Book Fair was a success based on the number of pavilions, publishers and visitors. As stated before, it is not just a book-selling fair, but a celebration of the book and its linguistic, cultural, educational, social and relational importance. 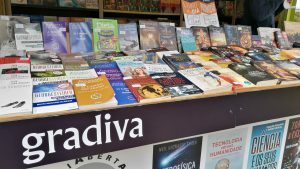 Despite the weather conditions, the uncertainty of the economy and the low reading rates, the Feira do Livro keeps growing and publishers are more optimistic and interested in foreign authors. Being innovative and resourceful does bear fruit in the end!